Elizabeth Hoyt joined the economics faculty in 1925 and spent the next 55 years at Iowa State. She is perhaps best known for her association with early professional efforts that led to the creation of the Consumer Price Index, now used to gauge inflation and the cost of living. Hoyt was an internationally respected economist, with a particular interest in under-developed countries. She received a Fulbright award in 1950 to do research on social conditions in Uganda. She also participated in standard-of-living studies in Japan, China, Guatemala and the West Indies. Hoyt was listed in the first edition of “Who’s Who of American Women” in 1954. In the early 1930s, the U.S. economy collapsed. The farm economy was devastated as thousands of farms were lost because of falling farm prices. Economic relief and solutions were demanded by the general population and by representatives in Washington, including President Roosevelt. In response to the public outcry, Iowa State President R.M. Hughes recommended that the economics department author a series of circulars stating the causes of the existing economic crisis and possible corrective measures. The result was a series of 10 circulars titled “The Agricultural Emergency in Iowa,” released in 1932. During World War II, the Experiment Station put aside regular research to focus on a series of reports that addressed the World War II economy. Iowa State economists published 11 reports titled “Wartime Farm and Food Policy Pamphlets.” This series of circulars, like the series during the Depression, identified the economics department at Iowa State as one of the foremost departments in the country. Karl Fox came to Iowa State in 1955 as professor and head of the Department of Economics and Sociology. He had a distinguished career as a research economist, and was a prolific writer, authoring or co-authoring numerous articles and several books on economics, econometrics and statistics, as well as the emerging fields of social indicators, social accounts, social systems analysis and eco-behavioral science. Fox’s first book, Econometric Analysis for Public Policy, was published by ISU Press in 1958 and later received an award from the American Agricultural Economics Association for a publication of enduring quality. He also was the author of two widely used statistics textbooks, which were later translated into Spanish, Japanese, Portuguese and Farsi. In the late 1960s, Fox published a number of papers in the area of urban-regional economics. He developed the concept of a “functional economic area” that had widespread impacts on area delineation by federal and state statistical and operating agencies. Fox significantly impacted the study of social and behavioral sciences. From the 1960s until his retirement in 2004, agricultural economist Neil Harl was one of the best known, respected and quoted voices on agricultural issues in the nation. With a bachelor’s degree and doctorate in economics from Iowa State, as well as a law degree, his main areas of interest included organization of the farm business, taxation, estate planning, legal and economic aspects of farm finance. He was founder and director of the Center for International Agricultural Finance, an organization that conducted schools both in the U.S. and abroad. Harl and the center have been credited with helping to lay the foundation for countries transitioning to a market economy, particularly in Eastern Europe. Harl is author or co-author of more than 450 publications in legal and economic journals and bulletins and more than 800 in farm and financial publications. He has spoken widely on debtor-creditor relations, estate planning and organization of the farm business with more than 3,300 speaking appearances in 43 states. 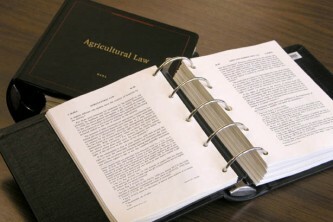 Publications include 17 editions of Farm Estate and Business Planning, the 15-volume technical treatise Agricultural Law, the Farm Income Tax Manual and the Agricultural Law Manual. Do taxpayers’ investments in agricultural research pay off? After a series of studies, Wallace Huffman, Charles F. Curtiss Distinguished Professor of Agriculture and Life Sciences and professor of economics, and his colleagues at Yale University, found that taxpayer dollars spent at the nation’s land-grant universities and federal labs have been a wise investment — they’ve yielded a 50 percent (or more) annual rate of return on investment since 1970. Huffman joined the faculty at Iowa State in 1974 and has established an international reputation for research on human capital in agriculture, agricultural labor markets, public funding of research and development and the structure and management of agricultural research. His 1994 book, Science for Agriculture: A Long-Term Perspective, was the first thorough quantitative and analytical treatment of the history of the U.S. agricultural research system and has served as the foundation for research since its publication. The second edition, published in 2006, updates important landmarks, components, characteristics and trends of the system for developing and applying science to increase the productivity and advancements of agriculture. To study the economic value of preserving and restoring water quality in a large number of Iowa’s lakes, Iowa State economists Catherine Kling and Joseph Herriges surveyed Iowans from 1999 to 2005, seeking to understand the return of investment in the state’s waterways. The Lakes Valuation project found that 12 of Iowa’s 132 lakes generate spending of more than $40 million annually. Overall, Iowans spent more than $9 million on average per lake. This research on water quality received the Bruce Gardner Memorial Prize for Applied Policy Analysis from the Agriculture and Applied Economics Association.